Mumbai: Less than six months after the capital markets regulator allowed direct market access (DMA) in India, technology that allows such trading, is getting traction with foreign institutional investors, or FIIs, as well as with multinational and domestic brokerages. Vendors, such as Financial Technologies Ltd and Asian CERC Ltd, as well as financial information providers Bloomberg LP and Thomson Reuters Corp., which are trying to sell their offerings to local and foreign fund houses, all claim their services have been getting a strong response from customers. 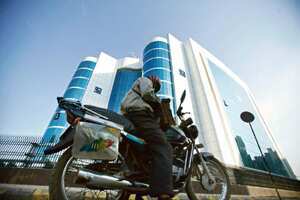 The Securities and Exchange Board of India, or Sebi, in April allowed such access to institutional investors. “The market... has become intensely competitive," said a sales executive at a local information technology company. “Many clients are now using DMA to place their trade(s)," confirms Anshul Bhargava, head of derivatives research at MF Global Sify Securities India Pvt. Ltd.
DMA is an electronic facility that allows institutional investors to place trade orders directly into an exchange-traded system rather than through brokers. The brokers, though, provide the systems and have to execute the trades. The technology has brought to the fore other advantages as well. While DMA has increased liquidity in the options market, it has also helped curb front-running by client brokers in Indian markets. Front-running is a market strategy often adopted by the broking community. They buy or sell shares or take similar positions in stocks ahead of large orders given by their institutional clients. It is virtually impossible for a human trader to keep track of the large number of arbitrage opportunities in the markets but a programmed software can easily do this. “But, most importantly, DMA has made Indian stock markets truly globalized," said Srinivas Padmasola, vice- president of electronic trading sales at Merrill Lynch (Asia Pacific) Ltd.
Interestingly, DMA, which is primarily used by foreign investors to trade in a portfolio market, has also attracted several domestic asset management firms and other local institutions. The introduction of DMA has also attracted to the Indian market some hedge funds that specialize in programme trading. Globally, many large hedge fund houses employ top mathematicians to prepare advance algorithms that can trade with many times greater efficiency and accuracy than the human mind. Algorithmic trading or programme trading refers to orders that are automatically placed in the market by software programmes that are built on certain mathematical models. Reliance Capital Asset Management Ltd, India’s largest mutual fund house in terms of assets, and part of the Reliance Anil Dhirubhai Ambani Group, has already developed a proprietary algorithmic trading programme. Foreign brokerages such as Morgan Stanley, Goldman Sachs Group Inc., Merrill Lynch and Co., CLSA Asia Pacific, Macquarie Group Ltd, Credit Suisse Group AG, BNP Paribas SA and MF Global Ltd currently offer full-fledged DMA facility through their systems. Local brokerages such as Motilal Oswal Financial Services Ltd have also started offering DMA facility to their offshore clients. Meanwhile, there is still room for more reforms in the DMA guidelines for Indian markets, said executives at some foreign brokerages. According to Mark Wheatley, managing director, global equity markets, at Merrill Lynch (Asia Pacific) Ltd, one such measure could be the introduction of pre-allocation facility, where a large fund house can first execute a trade and then decide which among its several portfolio funds has placed the order and for what quantity. This facility is available in some other markets, Wheatley said.